If it had been a snake it would have bitten us. 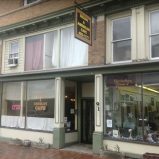 Rich and I were in Harrisonburg, PA to review Indian American Cafe and The Blue Nile Ethiopian Restaurant. On the way back to our hotel we chanced upon a terrific health food store. If you need to stock up on plant-based supplies while traveling I-81, this is just off the highway and is definitely worth the small detour. Sue’s is a clean, well stocked, medium sized store. You can find some fresh and frozen foods, and plenty of bulk bin items. This is the ONLY place I’ve been able to find dried fava beans other than on-line. You can believe I stocked up! 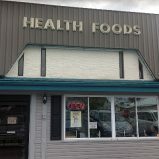 Sue carries lots packaged goods, like Bob’s Mills products, herbs and supplements, essential oils and your typical health food fare. Her daughter was working the register the day we were in. She was pleasant and helpful. If you’ve left something behind in your travels, Sue’s may be just the place to find a replacement. Indian-American Cafe is one of the loveliest surprises we’ve found in our search for good vegan cuisine. It is located on a corner at a red light on 91 N Main St. in Harrisonburg, VA, (off Interstate 81). From its pedestrian exterior one would never expect to find such good food and such a lovely couple creating it. John and Rameshori Shrestha are the genuine article. I observed John, his face radiant as he greeted each of his customers by their first names, a sturdy hand reaching out in a welcoming grasp. He knows them all and they know him. John’s wife, Rameshori, makes you feel as if you are a member of the family. “You’re welcome anytime,” she says warmly, making you feel as if this is where you belong. The name Indian American is a bit confusing. What is served is actually the cuisine of Nepal. The food is similar to Indian cuisine with numerous vegan offerings. They do carry a few American lunch items but none of it is vegan. What you will find is some of the most flavorful Indian fare at the best prices we’ve found anywhere. The owners have been at this location for 21 years now and have a loyal clientele. While we were waiting for our food, we asked several customers how they enjoyed their meal and how often they come to eat at Indian American Cafe. To a man, they love this food and have eaten here at least twice a week for years. American Indian Cafe has a thriving carry-out business as well. One gentleman was introduced to the place by a nearby hairstylist eight years ago. I believe the hairstylist has moved on but this gentleman has not. He has been coming to Indian American Cafe twice a week ever since and has introduced many of his co-workers to the restaurant. Often, he and his co-workers will order from the restaurant en mass for carry-out. John and Rameshori Shrestha, are from Kathmandu, Nepal, which is bordered in the north by China and by India in the south, east and west. Much of the Nepalese cuisine attests to its Indian influence in the similarity of spices and vegetable combinations though there are some differences. One obvious difference is the spiciness of the cuisine which is kicked up a couple of notches in Nepalese cooking. If you order level two in spiciness, prepare to drink a lot of water. Order mild and that is what you’ll get. Even if you like it spicy, I would still stay on the lower level of the menu’s heat indicator until you know what level you can handle. The Nepalese take their spices seriously. Another difference is the reduced amount of oil in their dishes. I really appreciate this fact as many, if not most, restaurants seem to equate fat with flavor. The dishes have a clean fresh taste which sits lightly on the stomach while continuing to please the palate. Nor are they inundated with salt, another ubiquitous restaurant habit. So, what did we eat there? Nearly everything! It was all so yummy! We arrived in time for a late lunch ordering from the lunch menu. I had Alu Saag, ($6.50), a potato and spinach curry which was divine and Rich had the Vegetable Brianni ($7.50) a curried rice with raisins, almonds and cashews. We tried most of the vegan dishes, taking stacks of boxes home with us. All but the rice dishes were served with a generous portion of rice as a side. They were all spectacular! We had the mixed vegetables with herbs and spices ($6.50), The Dall Saag ($6.50), which are yellow lentils and spinach in a curry with herbs and spices. OMG!! This was wonderful!! The Shmi Alu (6.50) are potatoes and green peas with Indian herbs and spices and Alu Miatar, ($6.50) are potatoes, green beans and green peppers in a curry blend. There is also a vegetable fried rice ($6.50). The Cobi Alu ($6.95) is made of cauliflower cooked down into a almost creamy texture with chunks of potato, peas, onions, and tomatoes with Indian spices. Each dish was better than the last and nothing fell short of just plain good eating! We tried a couple of the breads, many of which are vegan. I had the Naan ($1.75), which is addictive, while Rich ordered the Chappati ($1.75). Try the tomato chutney. It is a new experience and was recommended to me by one of the customers. We loved it. Also good is the mango chutney. Coffee was served in individual carafes, enough for two cups. The dinner menu ranges from $8.95 to $10.95. The dinner portions are much larger portions, though the lunch entrees were very substantial. I can’t imagine finishing a dinner meal. One thing to note about Indian American Café is they do not accept credit cards. Cash and check only helps them to keep their prices low and keep them operational. It is definitely worth this small inconvenience. This is a restaurant we hope to visit often when our travels take us up and down I-81.